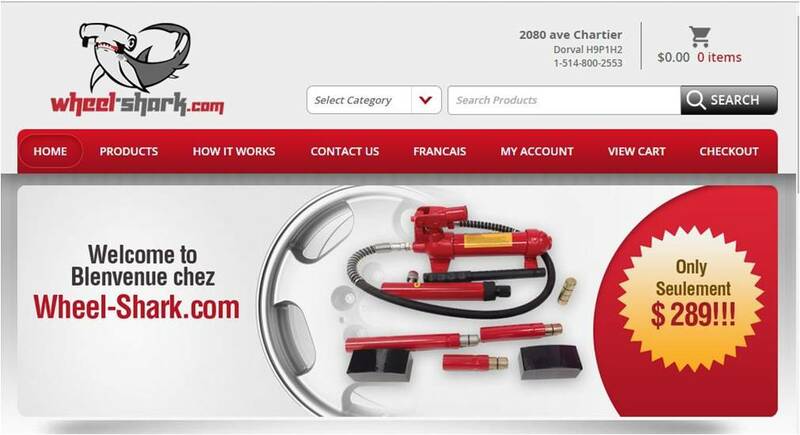 “Wheel-Shark” eCommerce site serve as an attractive medium for customers to buy wheel repair machine with few other accessories related to that products over website by paying respective amount through PayPal payment gateway integrated over website. Customers will be able to register over website then can search for the products by entering keyword or by categories defined over website. List of products will be shown according to the criteria defined over website user will be able to select the product and then can see its full details then can add to cart. Customers can add multiple products in multiple quantities to the cart and then can proceed to payment process where they will be pay respective amount through PayPal gateway integrated over website. We will design pages for the proposed site and a logo/YouTube video will be provided by the client that we need to add the home page over the site. We will integrate Woo-commerce plug-in over the site. There is an integration of PayPal payment gateway over the site through which customers will be able to pay respective amount for products over website. Wheel-shark chooses LogicSpice for its extensive experience in the world of web, iPhone application development, thereby provides a better user experience. LogicSpice continues to provide expertise and services in support of Wheel-Shark ongoing program of website development.